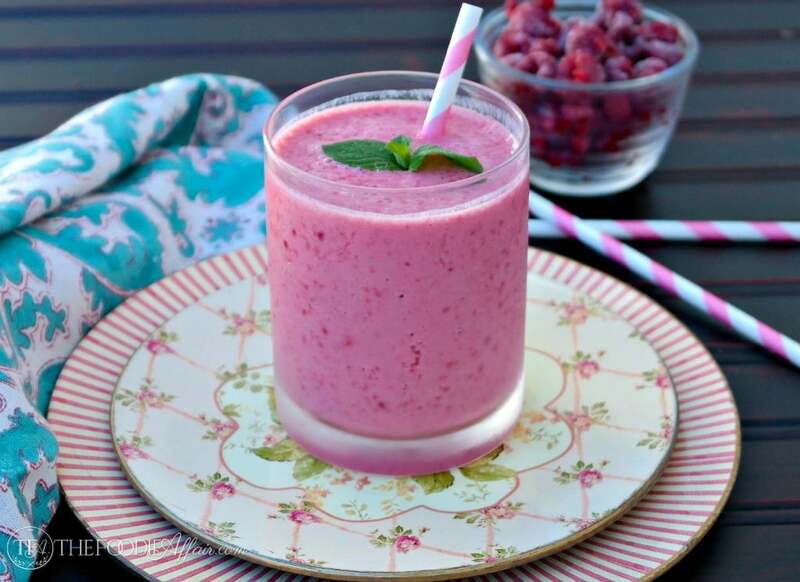 Cranberry Raspberry Smoothie made with non-fat Greek yogurt, cranberry juice and frozen raspberries! This smoothie is packed with 18 grams of protein that will keep you feeling satisfied for hours! Serve for a meal replacement or for a snack! I’m lucky to have plenty of vacation time on the books to use when I need to. I guess staying healthy and working at the same organization for over ten years does have some perks! My daughter and I along with my brother and sister were able to join my parents on their getaway to Orlando, Florida for a mini family reunion last week. My big (as in older – ha!) brother also lives in California, so we see each other several times a year, but my sister (6 years younger!) lives in Maryland, which is too far for either of us to just pop on over for a visit. I miss her and my parents miss having all of us together, so hanging out without an agenda for three days, except for mandatory laughing and story telling was just perfect! We lounged by the pool, mixed up cocktails, and reminisced about our childhood. We compared stories about different events and people that were in our lives and my parents provided some missing details we had wondered about. Ashley took it all in and probably learned more than she bargained for! After eating too many snacks and eating not so good airport food a couple of times. Ugh, never order what you think might be a delicious salad! I ordered the most expensive to-go glob of dressing ever! I couldn’t wait to blend up a simple smoothie when I got home. I mixed together unsweetened cranberry juice, frozen raspberries, Greek yogurt and a dash of vanilla extract for a super tasty smoothie. This was perfect without any additional sweetener for me, but if you are not used to cutting out sugar in your beverages then you might want to add a tablespoon of honey, agave or whatever suits your palate. 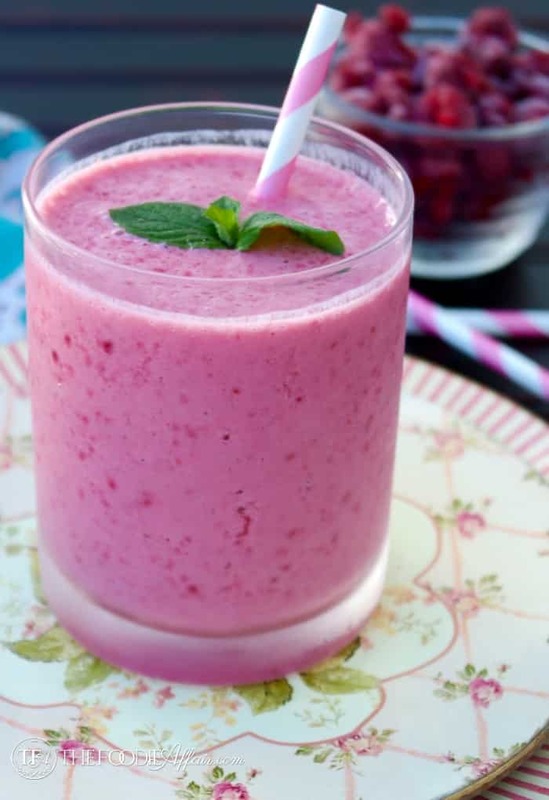 I love the vibrant pink color from the cranberries and raspberries in this smoothie. Cranberry is so reminiscent of the holiday season! Try this beverage for breakfast or for an in between meal snack. You are going to need the energy as we get closer to Thanksgiving and Christmas! Refreshing smoothie with natural protein from the Greek yogurt. 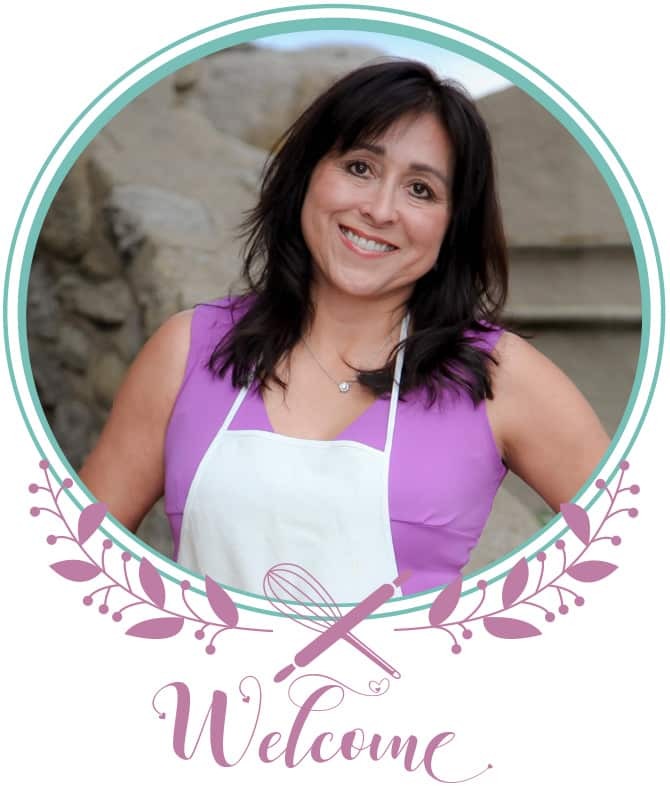 I love how festive this recipe is and healthy. I can feel like I am enjoying a taste of the holidays in a healthy way. This smoothie looks so refreshing delicious and super tasty.. I hope you give this a try Fareeha! It’s a tasty as it looks! I love that you used cranberry. Perfect for this time of year! 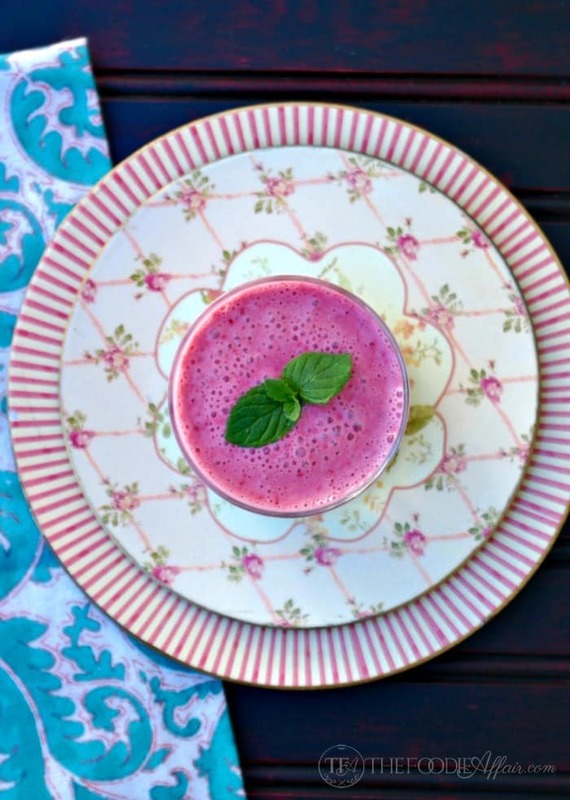 Such a gorgeous smoothie and so good for you too! I know I’d really love this! I am so glad you were able to gather with your family for a reunion. Good for you! 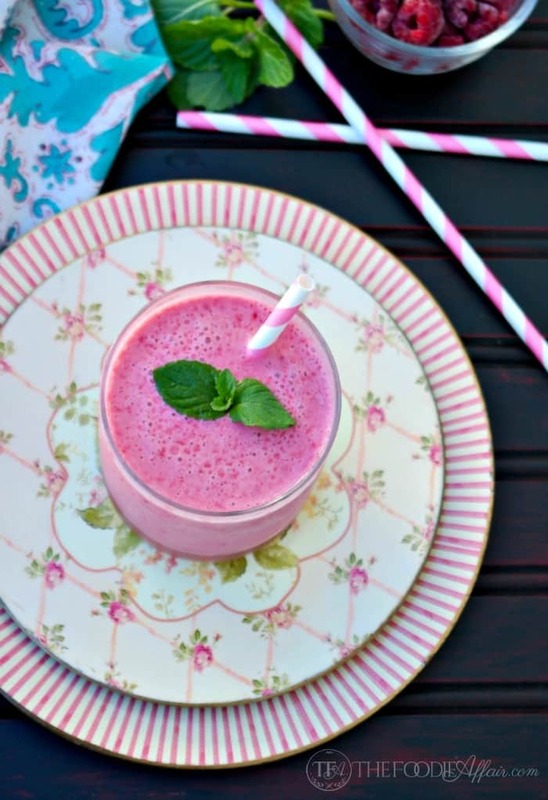 I love this smoothie and I bet it is a little sweet and a little tart and just delicious. Just pinned! This smoothie is tasty! Thanks for the pin love, Bobbie! Such a beautiful color! Great flavor combination too! 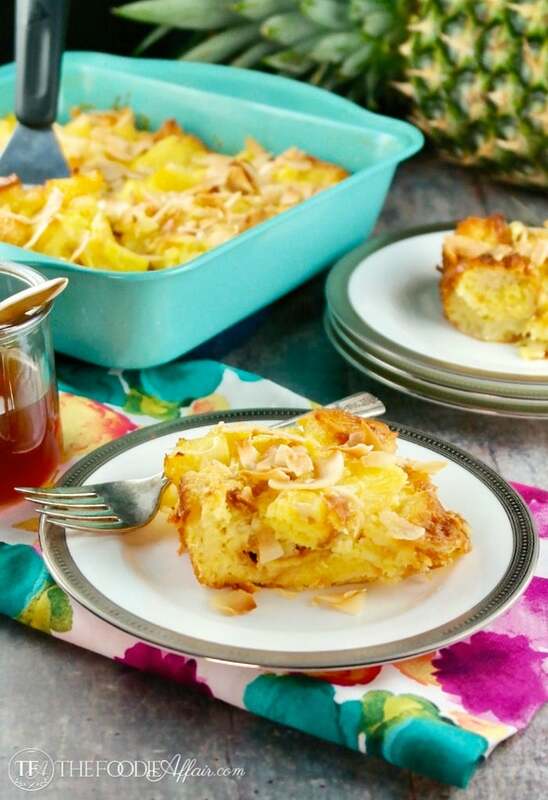 This looks so yummy and low carb too!! Where do you find nonsweetened cranberry juice? Thanks, Marjie! Knudsen has an unsweetened cranberry juice that I like (Cherry too!). I find it at Whole Foods, but I’m sure a lot of retailers carry it.